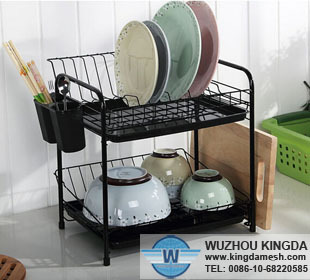 Our company WUZHOUKINGDA can produce so many kinds of dish racks. 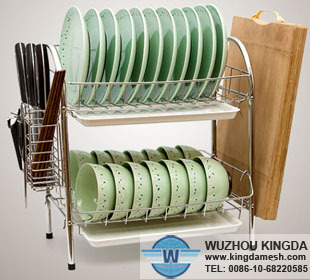 According to the material, we have stainless steel dish rack, powder coated dish rack, iron dish rack and others. According to the types, we have dish rack on table and over the sink dish rack. The over sink dish rack can be put on your sink in kitchen. You can put your dishes and bowls in it to protect them. After you washing the dishes and bowls and putting them in the dish rack, the water in the dishes can be drained in to the sink. This will not make your kitchen and cabinet wet and slip down because of the water. And it is very easy to take out and put in the sink. Also you can wash some bigger fruit and vegetables in it. The dish rack on table can be put on your cabinet and tables. It can not only put dishes and bowls but also can put kitchen knife, fruit knife, chopsticks, spoons, chopping board and other kitchen tools. This kind of dish rack has many tiers. And at the bottom of every tier, there is a plastic tray. The plastic tray is used to prevent the water in the bowls from drying on your cabinet and tables. 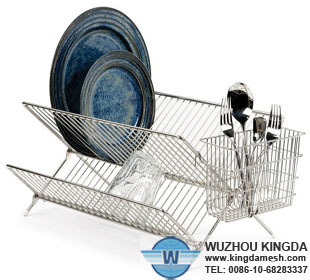 The stainless steel dish rack will not rust and can work for a very long time. 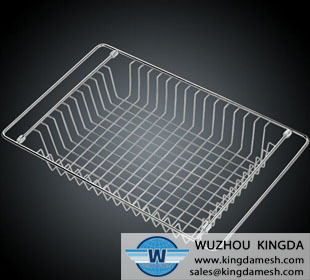 The powder coated dish rack can be coated different color as your demands. 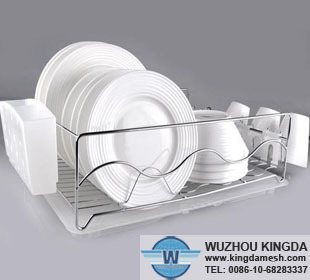 There are many dish racks in our company WUZHOUKINGDA. Welcome consult!